Pomegranate is among the most sacred fruits in Persian culture insofar as the Zoroastrians, planted several pomegranate trees in their fire temples and held their branches as a holy plant in their rituals. 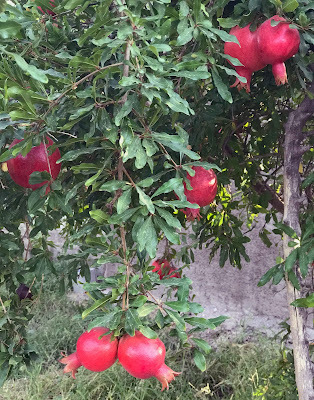 The sharp contrast between the ruby red seeds and the deep green leaves, the beautiful shape and most importantly (in my idea) the delighting sweet-sour taste of pomegranate has caused this fruit to be known as a gift from paradise. Pomegranate Festival, an annual cultural festival, is held in the focal cities of Iranian pomegranate production such as, Saveh, Arsanjan and Niriz, in the growing season of pomegranate, from October to December. At this festival which is mainly held for praising God in response to presenting great harvest, you can taste different mouthwatering flavors of fresh and juicy pomegranates. Moreover, various pomegranate’s products such as pomegranate soup and local cuisine are cooked. 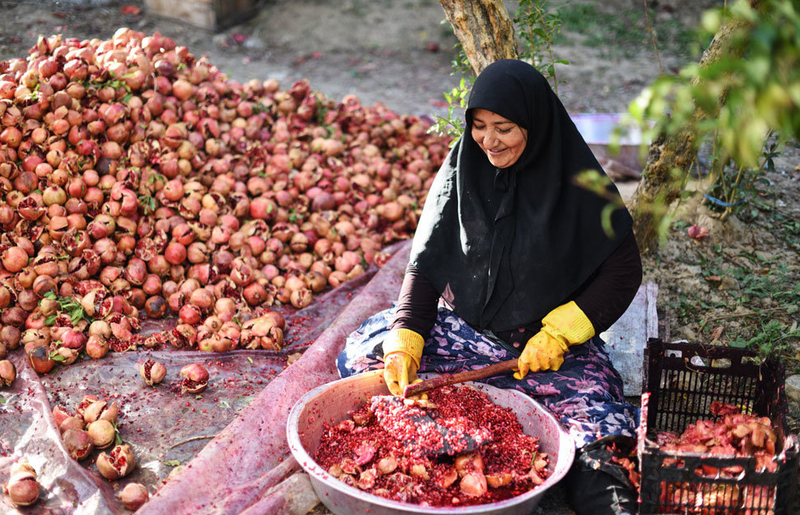 If you travel to Iran in autumn, make sure to join pomegranate festivals, visit the beautiful pomegranate gardens and offer yourself the practical experience of preparing Iranian food with heavenly taste of pomegranate.